Gon Bops Welcomes Itamar Doari! Gon Bops Welcomes the incomparable Itamar Doari! 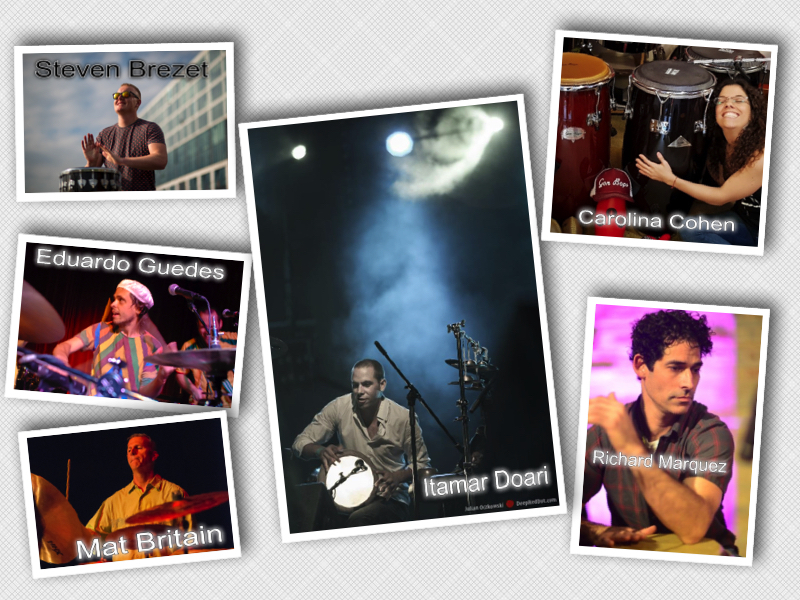 Israeli percussionist Itamar Doari is one of the most versatile and talented players in the world today, blending various Middle Eastern instruments with the Western drumset in a unique and exciting way. 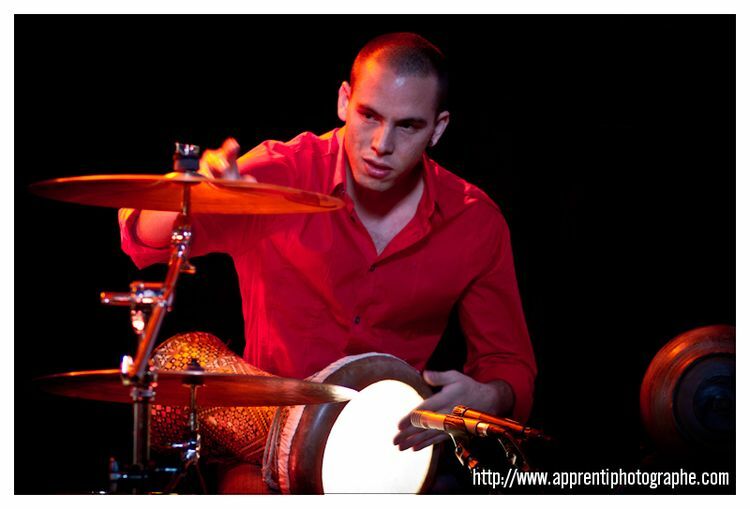 He maintains complex darbuka patterns while holding down incredible drumset grooves and has caught the attention of musicians and composers worldwide. We’re extremely proud to welcome this amazing artist to our growing, elite artist family! Gon Bops Has Best NAMM Ever! 2018 Winter NAMM proved to be Gon Bops’ Best NAMM showing ever! 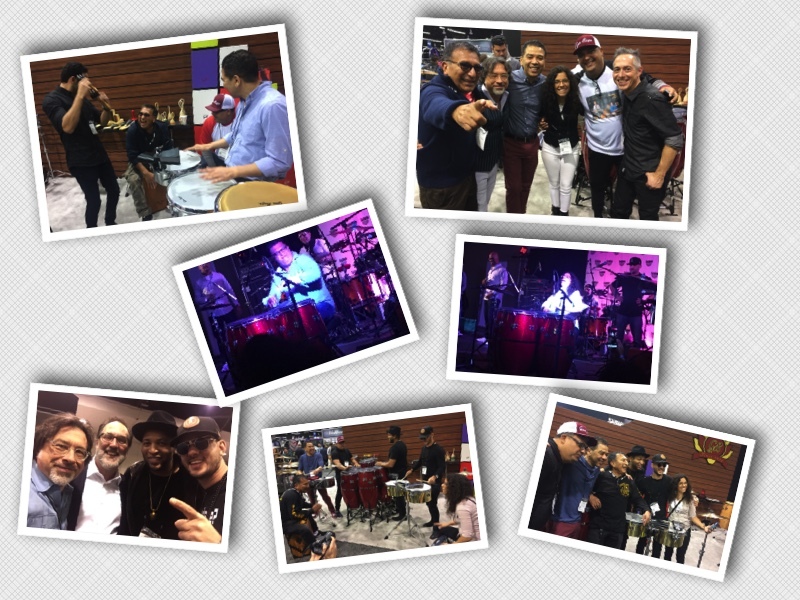 With premiering our new Roberto Quintero Fiberglass Congas and Bongos, this year’s booth was accented by ‘red-sparkle’ and Roberto himself was on hand to demo his great new drums. The finest percussionists in the world were there including masters Alex Acuna & Walfredo de los Reyes Sr and Gon Bops ‘New’ generation of incredible talent – conguero phenom Eliel Lazo, Timbaleros Luisito Quintero and Daniel Rodriguez, and our newest member to our family, from Buenos Aires, Argentina, the extremely talented Carolina Cohen! Stay tuned to Gon Bops for news on the upcoming video of the amazing spontaneous performances that went down at the show! Also, huge hits were Gon Bops newest products, our muli-colored Fiesta Cajons, 8″ Timbale Snare, Crasher Deluxe, Brazilian-made Caxixi, Hickory Claves, Fiesta Wood Shakers and lastly, our versatile Timbale Hardware Set! Thanks to all who attended the show and lent their great vibes to Gon Bops!! Gon Bops Welcomes Brad Dutz! For the past 30 years/plus, Brad Dutz has performed with many of music’s most recognizable names, has performed on some the biggest film soundtracks, has written and recorded releases as a leader and has published many educational works. His name has been associated with everyone from David Benoit to Alanis Morrisette, LeAnn Rimes to Rickie Lee Jones and Jeff Bridges to Willie Nelson. Just a few of the hit film titles featuring Brad’s percussion artistry include The Bourne Legacy, Cowboys and Aliens, Syriana, Star Trek 5, Ocean’s Eleven and Anchorman. Dutz has conducted clinics and master classes for countless educational institutions, has performed numerous times at the Percussive Arts Society’s International Convention and continues to push the musical envelope with exciting, inventive and unusual ensemble configurations. Gon Bops is proud to welcome this talented artist to our artist family! Gon Bops Expands in Africa and Puerto Rico! We’re proud to welcome new endorsees Yasmane Santos & Walter Rodriguez Sr.! Originally from Cuba, Yasmane Santos now resides in Angolo, Africa where he plays with many successful bands there including Yola Semedo, Banda Maravilha…two Angolan musical icons. Santos has also performed with Haila Maria Mompie, Mederic Colignon and many other greats in world music. 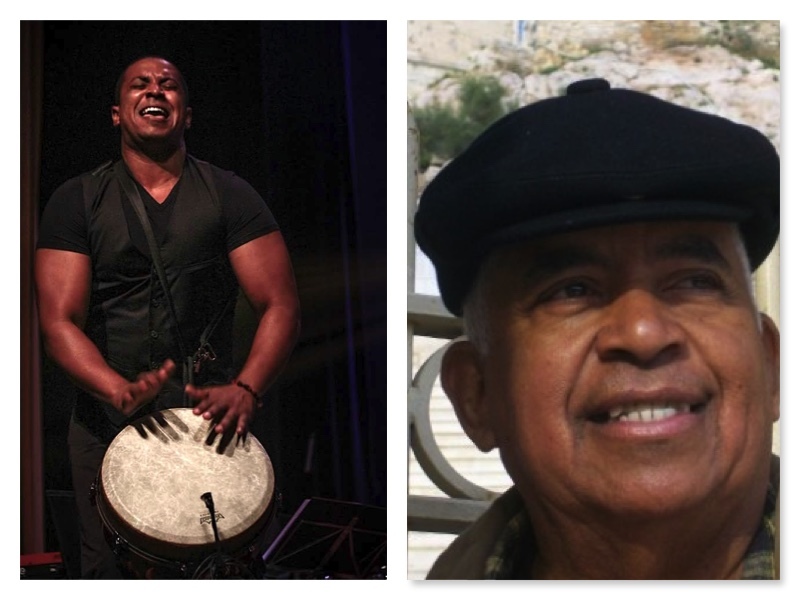 Yasmane is currently Professor of Percussion in the School of Music Training in Luanda, Angola and has taught workshops in various schools in Angola, Brazil and Argentina. We’re proud to welcome this fantastic player. From Puerto Rico, we very excited to welcome Walter Rodriguez-Saniel! Considered one of the most influential percussionists to hail from PR, Walter Sr. has dominated that scene for many years, performing on TV shows, recordings, big bands and various ensembles. Mr. Rodriguez has played with Tito Rodriguez, Danny Gans, Tony Chiroldes, Paquito Cordero and Warren Covington, just to name a few and continues to remain active there playing as drummer and musical director for the Puerto Rico Los Hispanos Vocal Quartet. We welcome him to our family, joining his long-time dear friends/fellow Gon Bops artists, Alex Acuna, Walfredo de los Reyes Sr. and his son, Walter Rodriguez Jr.! Gon Bops Welcomes Ignacio Berroa! 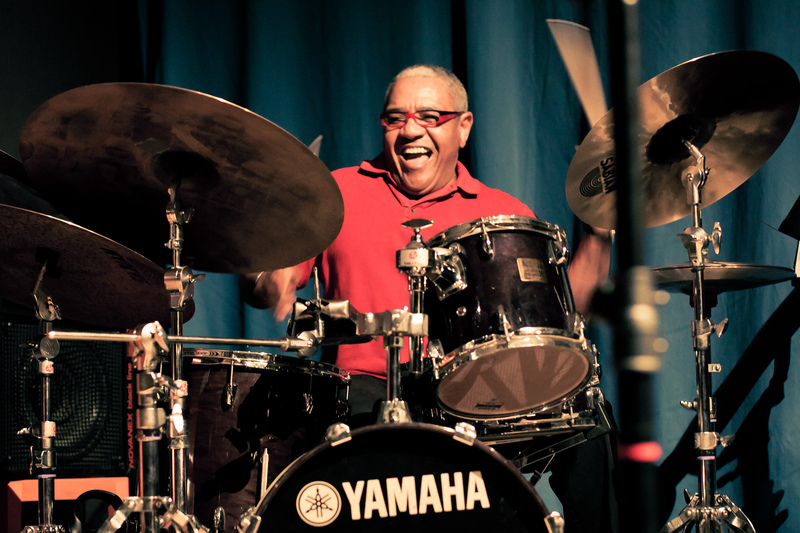 Recognized as one of the great drummers of our time, Cuban-born Ignacio Berroa has influenced some of the worlds most respected musicians, including Dennis Chambers, Peter Erskine and many others. Wynton Marsalis says of Ignacio: “Ignacio plays with intelligence, taste, fire and soul”. Upon leaving his home country in 1980, Berroa joined Dizzy Gillespie’s quartet and took part in many of Gillespie’s bands during that decade, including the Grammy-winning United Nation Orchestra. 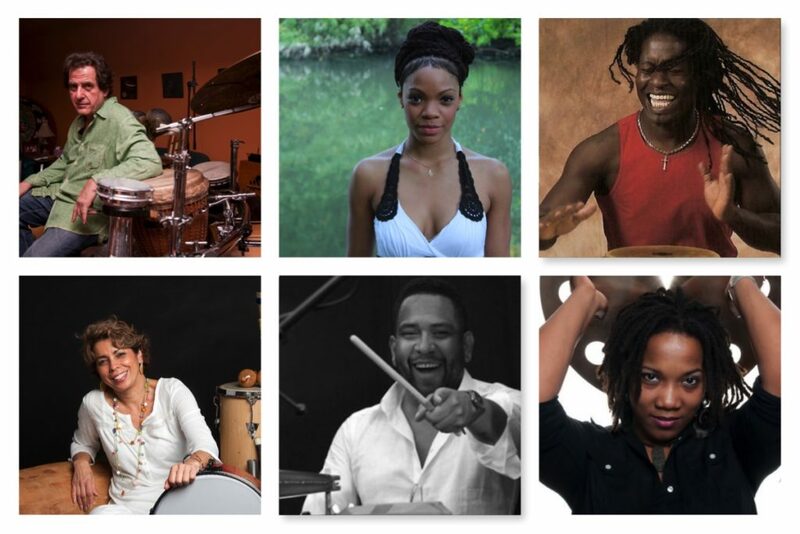 Able to balance both the Afro-Cuban and Jazz genres seamlessly, Ignacio has also performed with Chick Corea, McCoy Tyner, Jaco Pastorius, Michel Camilo, Gonzalo Rubalcaba and many more. 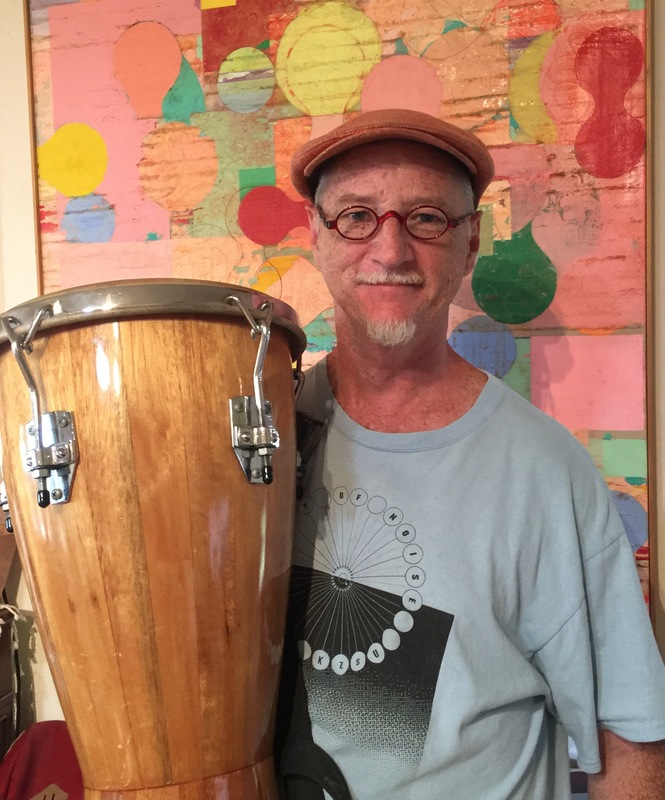 A renowned author, educator, session artist and performer, we’re honored to have Mr. Berroa join our artist family! Gon Bops 2016 Artist Roster Expansion! In keeping with our strong focus on the percussive arts, we welcomed some stellar artists to our family in 2016. Our new artists span years of experience and varied genres and share Gon Bops’ dedication to creativity and ingenuity. We’re so excited about Jamey Haddad coming our artist family. Considered one of the greatest percussionists in the world, Jamey’s reputation both as a performer and educator is second to none. His two current gigs with the iconic Paul Simon and Sting showcases his deep knowledge of world music and exceptional musicality. We also welcomed this past year a true drummer’s drummers – Tom Brechtlein! Tom’s amazing technical skills combined with his fantastic feel, has brought him to collaborate with legends including Chick Corea, Wayne Shorter, Al Di Meola, Rock icon Kenny Loggins and Blues Rock guitar master Robben Ford. Gon Bops further welcomed some very respected Latin players this past year. Hailing from Havana, Brenda Navarrete is one of the rising stars of Cuba. 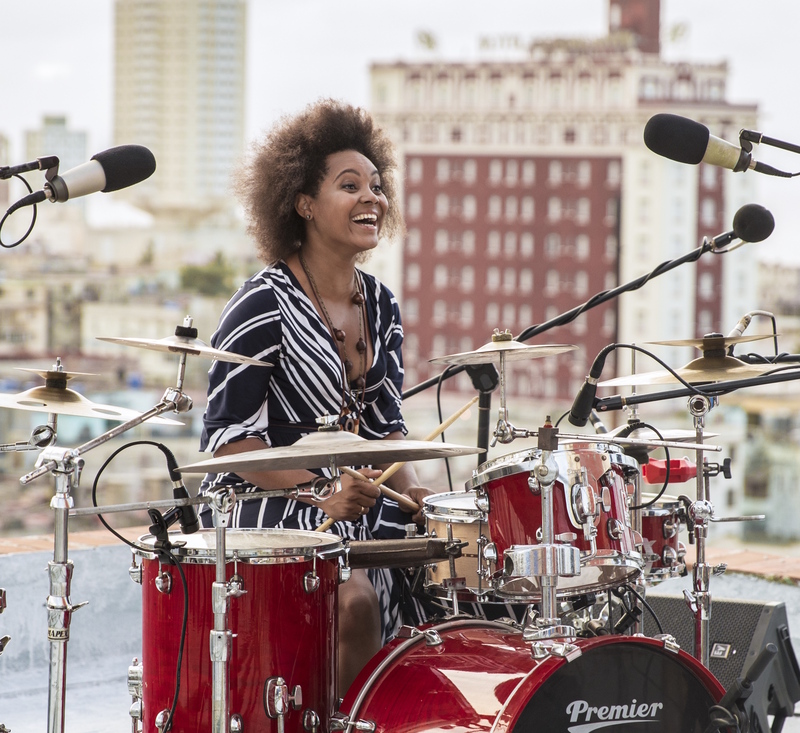 Her resume includes collaborations with Cuba’s most respected artists and her solo projects include highly acclaimed television and radio broadcasts. One of the great percussionists from Brazil, Nailton Dos Santos, also known as Meia Noite came aboard, joining his brother Gibi Dos Santos in the GB family. Meia’s credits include Aretha Franklin, Sergio Mendes, Ricky Martin and many others. From Venezuela, Gon Bops welcomed two new artists. Jackeline Rago is a multi-instrumentalist, specializing in Venezuelan folkloric music and is also a respected educator in Oakland California. She’s also an expert classical mandolin player. 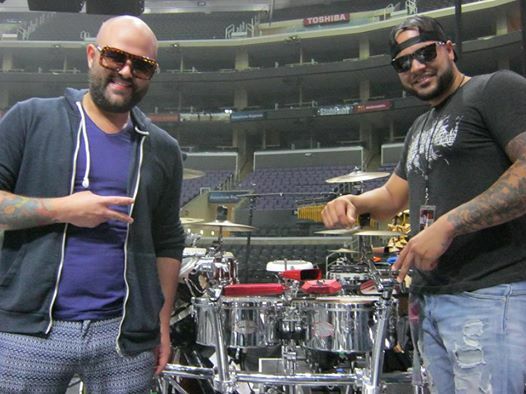 Drummer for the highly acclaimed Venezuelan band “Caibo”, Juseph Ballestero brings a dynamic style to his music and also performs with the Latin Grammy nominated “Tecupae Group”. From Europe and beyond, Gon Bops welcomed two Latin artists now residing abroad. From The Netherlands, Adriaan Joaquin Correa dominates the Dutch Latin music scene with his “Latin Society Orchestra-La Vibora”. Originally from Venezuela now residing in Switzerland, percussionist Edwin Sanz tours with the hugely popular Mexican guitar duo, “Rodrigo & Gabriela” and recently released his solo project, “San Agustin & Overflow”. Born in Sapporo, Japan, Takafumi Nikaido traveled at a young age to Cuba to study percussion and dance with the legendary Los Munequitos de Matanzas. Recently graduating from the Berklee School of Music, we’re happy to support this rising, extremely talented conguero. Coined a creative bonanza by Modern Drummer magazine, Tom Teasley joined the Gon Bops roster with an eclectic approach to contemporary percussion. Always pushing musical boundaries, Tom’s ability to merge instruments from various countries inspires many young players to think outside the box. Born in Harlem, New York, Leslie “Chuggy” Carter is a noted American percussionist influenced by a wide range of styles including Afro-Cuban and Brazilian music, to Soul, Jazz, Gospel and Funk. Known for his work with Patti LaBelle and Donny Hathaway, Chuggy has traveled the globe always expanding his knowledge. Chicago percussionist JoVia Armstrong comes to Gon Bops as the winner of the 2014 Black Female Percussionist of the Year from the Black Women in Jazz Awards. JoVia’s vibrant style and soulful feel has brought her collaborations with many artists including El DeBarge, Rahsaan Patterson, The Impressions, Nicole Mitchell’s Black Earth Ensemble and many more. 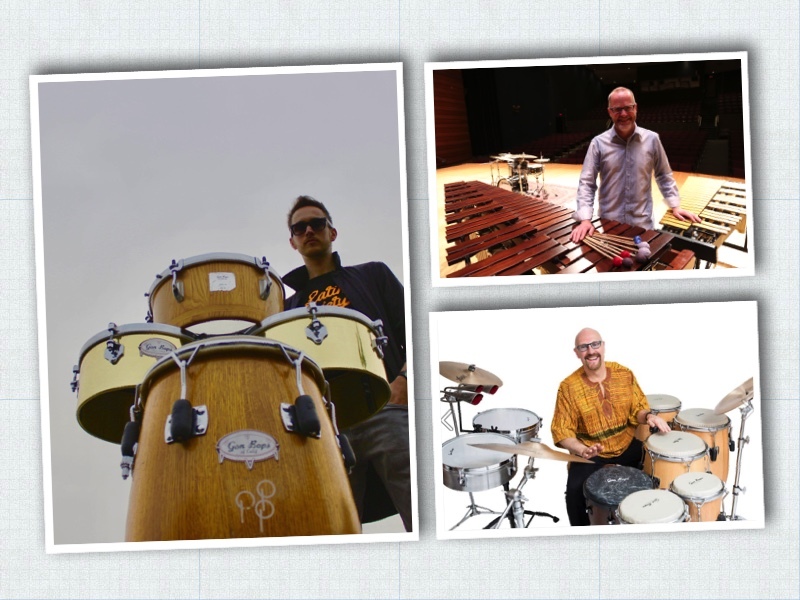 We also welcomed four acclaimed percussion educators in 2016. Roland Muzquiz is a member of the San Antonio Youth Symphony and the Principal percussionist for the East Texas Symphony Orchestra and the Dallas Wind Ensemble. Roland’s career has influenced countless students and has performed with artists such as Frank Sinatra Jr., Toni Tenille and Joel Grey. At the Oregon Center for the Arts in Ashland Oregon, music professor Terry Longshore is a well-respected performer and educator, appearing numerous times at the Percussive Arts Society International Convention. His genre-crossing performances combine the artistry of the concert stage, the spontaneity of Jazz and the energy of a Rock club. 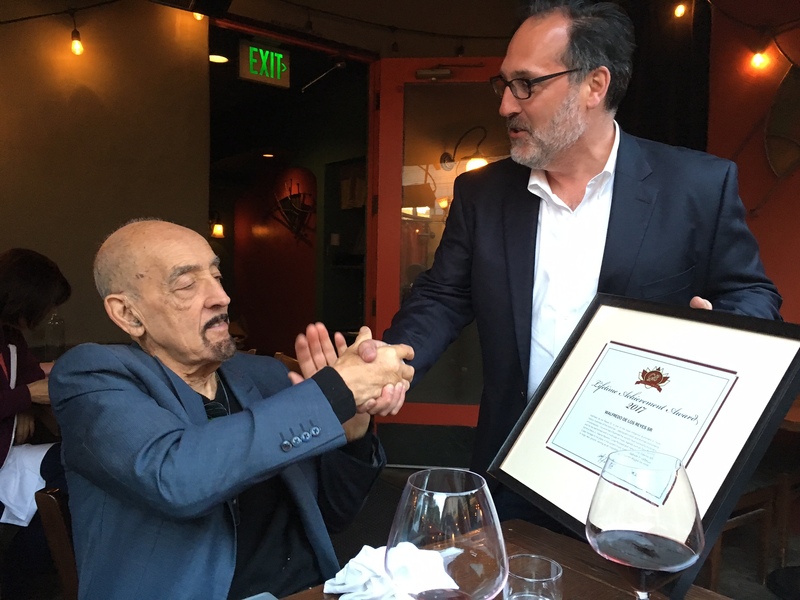 Puerto Rican born Sam Lopez is a faculty member in Latin Music Studies at Texas State University and has performed with Larry Harlow, Luisito Carrion, Georgie Padilla and many others. Lastly, Iowa School of Music professor Dan Moore possesses a distinctive brand of improvisational music and leads Iowa Percussion, a student-centric program that encompasses contemporary chamber music, concert percussion, electronic music, steel band, traditional Chinese drumming and improvisation. We welcome all these great artists and look forward to another amazing Gon Bops year in 2017!! Gon Bops’ own Rich Mangicaro recently met up with Pitbull’s Omar Tavarez & Papayo Corao for a hang and a chat. It was a great opportunity to pick their brains on everything from soloing as a duo to their love of Gon Bops instruments.